I'm an actor. I've studied this craft for many years and devoted my life to it. And like many little girls and boys, I've often imagined what my Oscars speech would be. I've recited it in my car, tweaked it while holding a hair brush, and proclaimed it as I'm leaving an audition I totally rocked. I won't give you the details now because I want you to be surprised when it happens. Every year around this time, I get a little tingly just thinking about the upcoming show. It's magical to me. It's showbiz. It's the Super Bowl for the entertainment world. Only instead of pads and jock straps, the attendees are wearing Prada and Marc Jacobs. 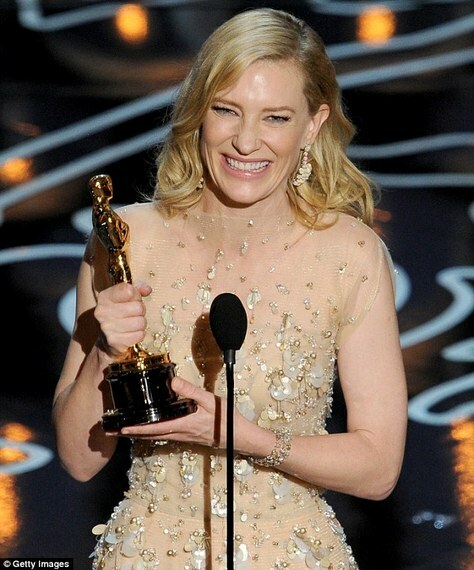 Just about everyone would agree that winning an Academy Award is the highest honor you can receive as an actor. We all want it. We all chase it. We all hope someone see's our talent enough to give us a chance to earn it. And for those who reach that pinnacle, their lives are forever changed. For the people who are nominated, whether it's in front of or behind the camera, it's not just about the extra money they'll earn for being an Academy Award winner but the ultimate recognition of their hard work. I'll be watching the Oscars with my daughter on Sunday. I want her to see what a top actor in my field looks like and how they're honored for their achievements. And maybe show her the side of my career that's not all schlepping around to auditions in weird outfits. "See? Mommy has dreams too!" In a way, it's also cathartic for me. It reminds me that despite all the constant rejection in my career, I'm striving for something. I have a dream to win an Oscar and I'm working really hard to make my dream come true. (Side note: winning an Academy Award would be incredible, but a regular paycheck would be pretty sweet too.) Acting isn't just a fun side job for me, it's my passion. I want her to see that through this show, every winner that walks up on that stage and every person who has been nominated. She may not fully understand it yet, but seeing as how she'll be growing up in Hollywood with an actor mom and lots of actor aunts and uncles she's going to be immersed in this business whether she likes it or not. I really hope she likes it. Yes, there will be lots of pomp and circumstance, with a parade of gowns and tuxes. And admittedly, I love it all. The goal here, however, is to impart the real meaning of the Oscars to her. Like the real meaning of Christmas. Or something like that. Even though I feel like the Oscars have lost some of their shine over the past decade due to the swell of entertainment shows focusing on the superficial side, it doesn't diminish the award itself in my eyes. I also think it's important to show young girls and boys in the arts that their dreams can come true through persistence, and patience. And to be honest, a whole lot of luck. Will everyone win an Academy Award that wants one? Of course not. Don't be dumb. I just like the idea that there's still some tradition, gravitas, and old Hollywood glamour left in an industry that seems hell-bent on making stars out of the latest YouTube and Vine sensations. Acting is a craft. It's an art. Man that sounds cheesy, but it's true. You can't watch a performance like Leonardo DiCaprio in The Revenant, or Cate Blanchett in ANYTHING and not see they are using their talents to create something beautiful and entertaining. I want my daughter to be proud of the career I've chosen, and the industry I'm in. 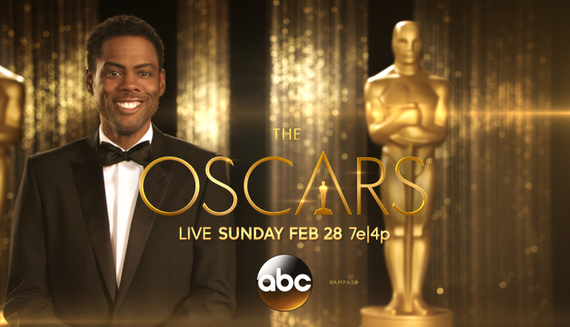 No pressure Oscars, but my daughter and I will be watching on Sunday. As will a whole generation of boys and girls with their hair brush in hand, ready to be inspired.